Results of the fifth match at WWE Survivor Series 2018, Team Raw’s Bobby Lashley (with Lio Rush), Finn Balor, Dolph Ziggler, Drew McIntyre, and Braun Strowman (accompanied by captain and general manager Baron Corbin) against Team Smackdown’s The Miz (also team captain) Shane McMahon (commissioner), Rey Mysterio, Jeff Hardy, and Samoa Joe. 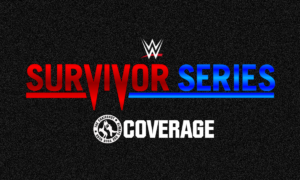 Check out Mitchell’s WWE Survivor Series 2018! The fifth match match of WWE Survivor Series 2018 was the Men’s Traditional Survivor Series Elimination Match featuring Team Raw (Bobby Lashley, Finn Balor, Dolph Ziggler, Drew McIntyre, and Braun Strowman) and Team Smackdown (The Miz, Jeff Hardy, Rey Mysterio, Samoa Joe, and Shane McMahon). Daniel Bryan was originally slated to be a member of Team Smackdown, but was replaced by Jeff Hardy after winning the WWE Championship from AJ Styles. If Team Raw wins, Braun Strowman receives a shot at Brock Lesnar for the Universal Championship and a match with Raw General Manager Baron Corbin. Raw has a 3-0 lead so far, so a win here would end the competitive element of the show before the final two Champion vs Champion matches. Drew McIntyre eliminated Samoa Joe in 35 seconds after a Claymore Kick, after avoiding the Coquina Clutch twice. Dolph Ziggler seemed to have Shane McMahon beat at 4:21, but the pinfall was broken up. Seven minutes in, Shane McMahon connected with an elbow through the announce table., hoping to take the big man out of the match. Drew McIntyre, who had already tagged himself in to start the match, refused to tag out to Finn Balor. Balor tagged himself in and kicked McIntyre right in the head. After a highly entertaining “mini-match,” Rey Mysterio pinned Finn Balor with Springboard Frog Splash at 12:09 to even the odds. Shane McMahon connected with Coast To Coast to eliminate Dolph Ziggler at 18:12, giving Smackdown a one man advantage. Shane would go for a second Coast To Coast, this time on Lashley, but was swatted out of the air by Braun Strowman. At 20:44, Strowman pinned and eliminated Jeff Hardy with a powerslam. A powerslam from Braun also eliminated Rey Mysterio at 21:19. Raw now has the one man advantage. A powerslam at 22:23 eliminated The Miz as well, leaving Shane McMahon alone to fight three men. Shane McMahon would fall to a Braun Strowman powerslam at 23:59, giving Raw the win in the match and for the overall Survivor Series. Baron Corbin attacked Braun Strowman after the match. What dd you think of the insane brawl between Raw and Smackdown in the Men’s Elimination Match?